A few years ago, I didn't know what this meant. But thanks to my daughter's homeschool history lessons, I have learned that October 31, 1517 (500 years ago today!) 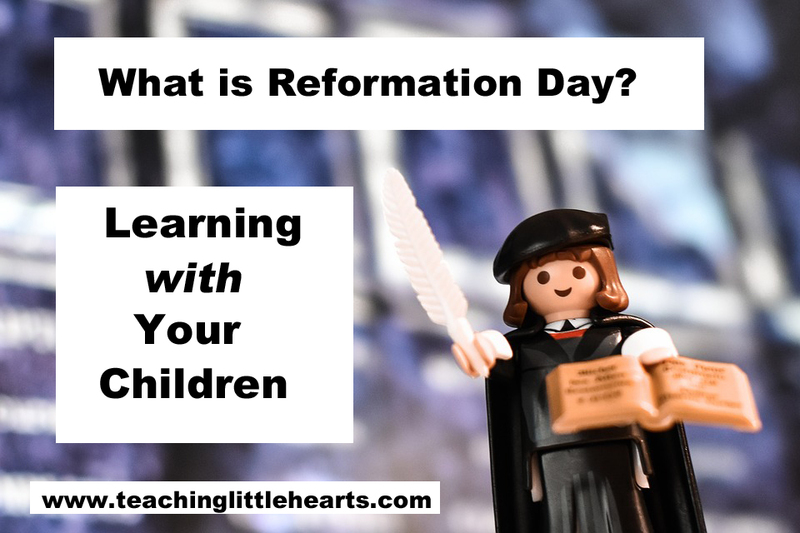 is considered to be the beginning of the Protestant Reformation because of the actions of Martin Luther. Whether you see Martin Luther as a hero, rebel, or somewhere in between (or even if you don't know who he is), the fact remains that the events surrounding his life greatly shaped Christianity as we know it today. It's really an amazing story. Here's a short animation about Martin Luther that we have enjoyed, and I hope you will, too. I hope you will be encouraged to learn with your children! Thanks for reading, and stay tuned for more "Little Hearts Teaching Me" Posts coming soon!